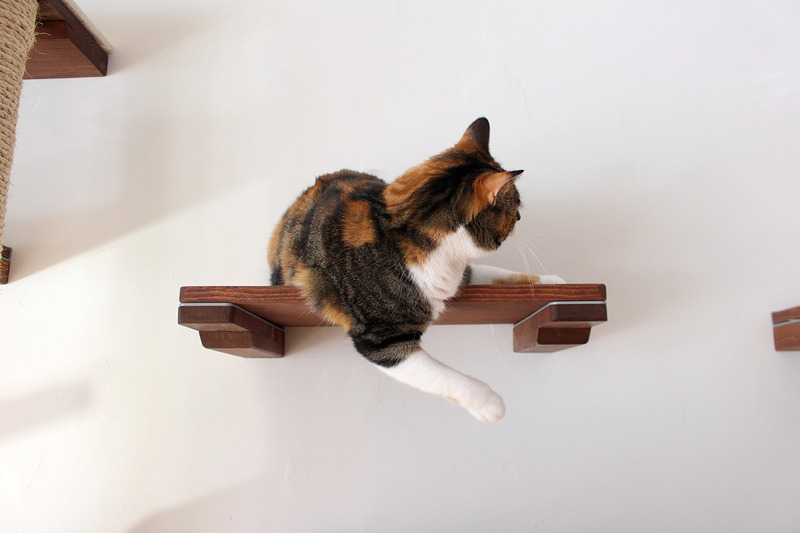 This is a shelf which can be added on to any of our Cat Mod structures or used on its own. With our newly patented bracket design, you can add our removable, grommeted Cat Mod fabric (sold separately) to either end of the shelf to create a larger structure. All shelves come with Nickel brackets and can be purchased in Onyx, English Chestnut or Unfinished wood. 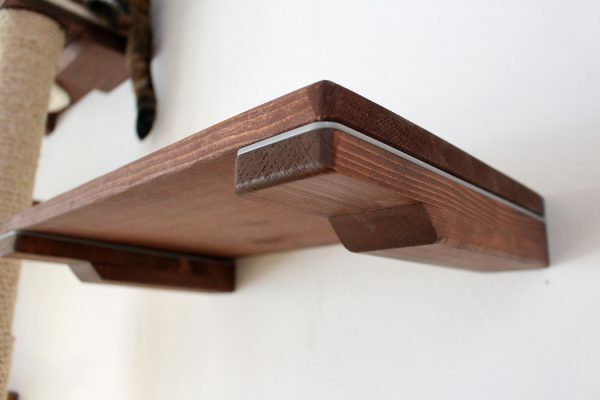 This shelf can be connected onto any of our Cat Mod collections or added as a standalone addition. Get creative by mixing our add-on items and sets! 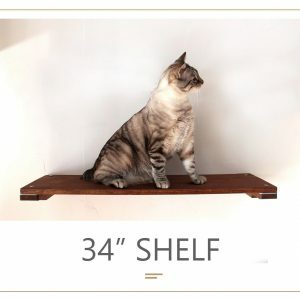 I purchased four of these shelves for our four cats. I wanted to replace the carpet-covered cat tree that we had been using because the carpet got so frayed and dirty--impossible to clean after a while! The shelves are very well designed and look sharp in our family room. Installing them was much easier than I thought it would be! One of the screws didn't work--a manufacturing flaw of some kind. Catastrophic Creations replaced it immediately with no problems. 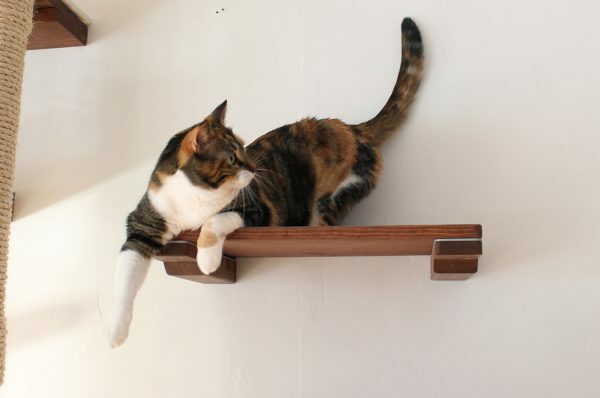 It took our cats a little while to get used to the shelves, but they now climb and nap on them! To make the shelves more comfortable for our cats, I made covers out of a fleece material. I added washers under the screws on top of the shelves to attach the covers. Now I have soft covers that can be removed for periodic washing! I would love it if CC would make similar fabric covers with a bit of padding. I'm very happy with our purchase. 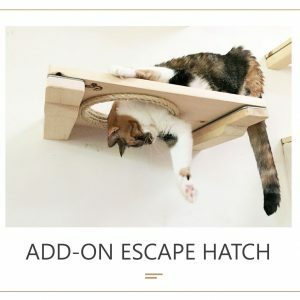 I would buy more, especially the cat bridge, if I had a place suitable for them. "This is my third of the exact same type of shelf from this supplier.... I forgot to review when I got the first two, so here's one now! 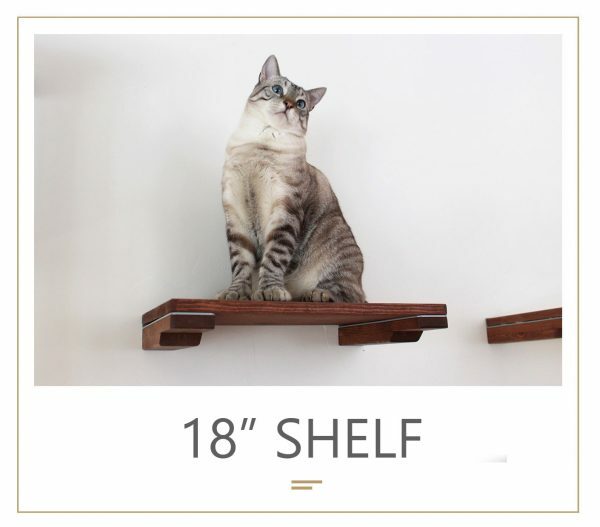 My cats really love these shelves. they're sturdy and I don't feel like my chunky ones (lol) are going to bring it down. I previously just needed two because I had a couch that they could jump from the back to the first shelf then up to the second, but I got a new one with a very thin back that wouldn't allow them to get the leverage they needed for the spring. Boy, did I have some miserable looking cats for a few weeks until I got the third one!" "The shelves look great on our wall. The only reason I gave 4 out of 5 stars is that they are a little bit difficult to install. I found it hard to be certain that the brackets were properly aligned, and once they were, it was a little hard to actually get the shelf placed on the brackets (for the shelves that have two brackets). However, once installed, they look gorgeous. 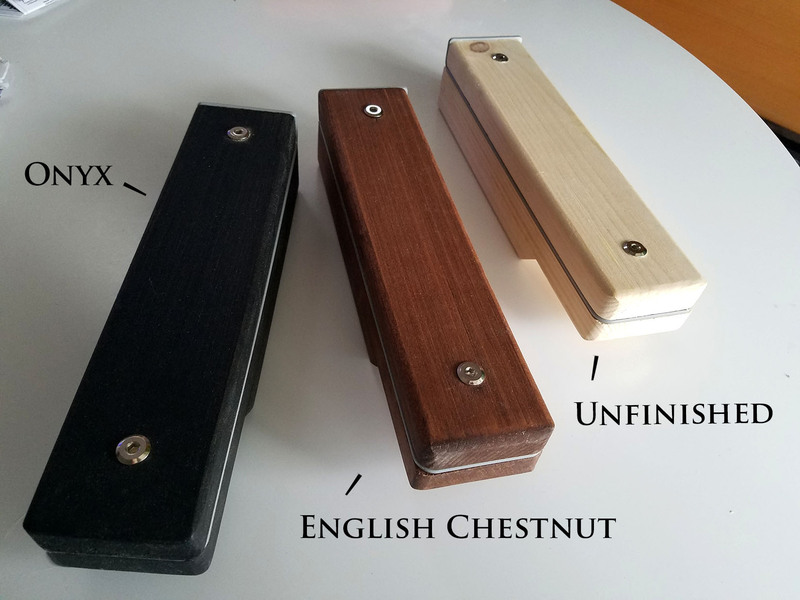 The wood is beautiful and I love that the hardware/brackets are hidden. 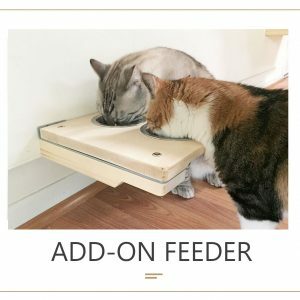 Our cat is going to love them. One piece of advice based on my experience: use all three screws when installing the small step (with a single bracket), and make sure that at least two screws (preferably all) are in a stud. Overall, this company was delightful to deal with, the products are high-quality, and I would definitely order from them again."